Contemporary Perspectives, Institutions, and Practices. RRP $US75.00 £59.50 Review copy supplied by Footprint Books. This is a tour de force of what has happened in the past 60 years or so in the field of death, dying, and bereavement, with a distinguished list of contributors telling you, sometimes with a bit of personal history thrown in, what has happened in their part of the field. The book opens with a nine-page chronology of developments in the field, 1955-2014. It is then divided into three sections – Intellectual Developments, Institutional Developments, and Practice Developments. The first includes discussions of the contributions from the fields of psychology, sociology, law, and ethics, amongst others. 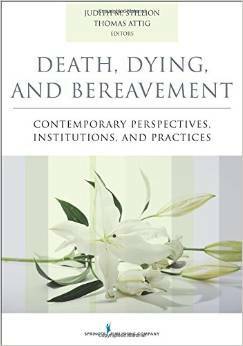 The second includes chapters on the contributions of hospice (David Clark) and palliative care (Bernard Lapointe and Dawn Allen), as well as a discussion about Death Education as a Public Health Issue by Allan Kellehear. The third includes discussions of the importance of spirituality, the use of arts and the humanities, the concept of family-centered care, and how to deal with suicide, as well as a lot more. The last two chapters – Colin Murray Parkes’ Responding to Grief and Trauma in the Aftermath of Disaster and Mary Vachon’s Care of the Caregiver: Professionals and Family Members – were special. There is a wealth of information here, but it is presented in a readable way. There is no attempt to cover all the different racial and religious attitudes to death and dying, which would have made this book an almost impossible task. As a clinician, my only quibble would be that there is not enough emphasis on what can be done beforehand; I have always found that patients and families who are informed and prepared (be it by honest communication or some form of advance planning) cope better. That said, this will be a useful reference to anyone studying thanatology and I think it will be interesting to a lot of people who work in palliative care, providing a user-friendly window on the continually expanding field of death, dying, and bereavement. 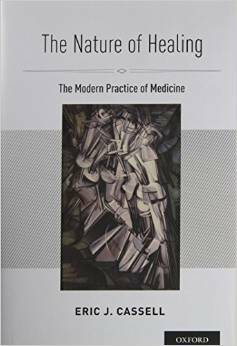 Eric Cassell is one of our foremost thinkers about suffering and the practice of medicine with, amongst many publications, The Healers Art (MIT Press, 1985), The Nature of Suffering and the Goals of Medicine (OUP 1991 and 2004), and now The Nature of Healing. In The Nature of Healing, Cassell explores what sickness is and how we might go about healing it. In modern medicine, institutions and individuals practice under the banner of ‘patient-centered care’, but he argues this is more about ‘polite, well-mannered, and customized care that meets the patients’ needs, desires, concerns and wants’, and that the vast majority of care is disease-focused. Cassell says we should focus on persons, whole persons, because sickness occurs in whole persons and because the nature of the particular person, who is the patient, will influence every aspect of the disease in that patient. Cassell defines a sick person as one ‘who cannot achieve his or her purposes and goals because of impairments of function that are believed to be in the domain of medicine,’ and points out that it does not specifically mention disease, because it is possible to have disease without sickness and sickness without disease. Alternatively, people who are able to achieve their goals and purposes have a sense of well-being. The well-being of the patient is (or should be) the sole goal of medicine and helping sick persons achieve that, by a process he terms healing, requires whole person care. There are chapters on what constitutes sickness, about persons (sick and well), on human functioning, and the said healing process. There are several chapters concerned with learning as much as you can about the person who is the patient, because healing is interpersonal and occurs in the relationship between the healer and the patient. And if my description is making this all sound a bit psychic or mumbo-jumbo, it is not. Cassell decries overinvestigation and overtreatment but is in no way anti-technology; but rather than just fixing an artery or killing a bug, he is telling us how we might restore well-being to all those living with chronic illnesses, incapacities, or the afflictions of aging. An holistic approach to care has long been a tenet of palliative care, and this book should appeal to a range of people who work in hospice and palliative care. It is not the easiest book to read, but it will make you think and reflect. The obvious practical concern about practicing medicine this way is time: ‘careful listening, observing, evaluating sick persons and their illnesses, finding out their goals and purposes, and focusing on function, and the person of the patient.’ But he argues that, with a little practice, it saves time, is better for the patient and more satisfying for you. 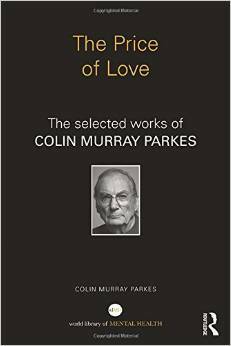 Colin Murray Parkes is a familiar name to anyone who has delved into the palliative care literature, particularly that involving grief and bereavement. 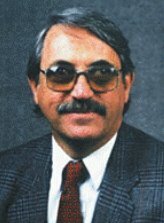 In a long and distinguished career as both a practitioner and researcher in psychiatry, he has contributed greatly to our knowledge and understanding of death and bereavement, and more recently to dealing with the consequences of genocide, natural disasters, war and terrorism. Here are 26 selected and annotated papers that span his career. They are presented in five groups – Love and grief, Crisis, trauma and transition, Death and dying, Disasters, and War and terrorism: breaking the cycle of violence. Each ‘is prefaced by a thought-provoking introduction on both its origins and its place in the current context.’ The collections are interesting in that they provide insight into our thinking about the psychological problems associated with death and bereavement over time. I had not been aware that the term post-traumatic stress disorder (PTSD), which we hear nearly every day, only came into the lexicon in the late 1970s and 1980s, in describing veterans from the war in Vietnam. His descriptions of working with tsunami survivors were difficult to put down – his astute observations about what was or wasn’t important in helping these people left me envious, and his compassion to do something to genuinely help them was laudable. This book will obviously be of particular interest to psychologists, psychiatrists and people who work in disaster relief. But I think it will also be of interest to people who work in palliative care and have an interest in things to do with death, dying and bereavement. Whilst we should be grateful to Routledge for producing a gem of a book like this, I thought it was priced a bit on the expensive side.